The world of fashion has become faster than ever—and it’s still accelerating. Technology will continue to propel all stages of apparel design, manufacturing, and distribution in an increasingly connected global marketplace. The Internet of Things (IoT) will have dramatic effects on the supply chains for clothing, fashion accessories, and other soft goods. While the potential applications of connected devices extend all the way from the factory floor to the point of sale (and even into the consumer’s home), in this blog we’re going to focus specifically on how IoT will improve efficiency in the manufacturing environment. This is where some of the most transformative changes are possible—and where you can achieve some of the best return on investment. 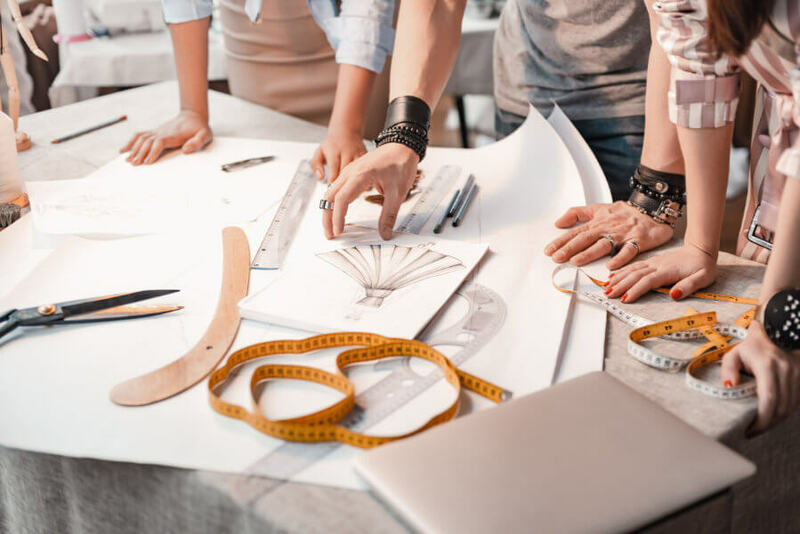 Here are the top four ways that your brand can benefit from implementing IoT technology in fashion manufacturing. This is the big one, because the fashion cycle is continually shrinking. Style trends used to last a decade (think “the 60s”), then it was year to year, now you never know when you’ll wake up and find that your entire collection has become outdated overnight. All it takes is a few trendsetters sporting an unexpected look on their blog or Instagram, and suddenly everyone is desperate to get their hands on the goods before the next wave hits. In this fast-paced market, brands need to be able to pivot on a moment’s notice to keep their production in line with the latest trends. Connecting your manufacturing processes to the IoT enables you to better keep up with changing styles, both by increasing the efficiency of hands-on work in the factory, and at a strategic level by providing real-time visibility into your products, people, and processes. Visibility has been a growing challenge in the era of globally distributed manufacturing, but the IoT may finally provide a cost-effective solution. It’s hard to keep tabs on all your operations at far-flung plants when you’re dealing with not only vast physical distances, but also language barriers, different time zones, and other obstacles. 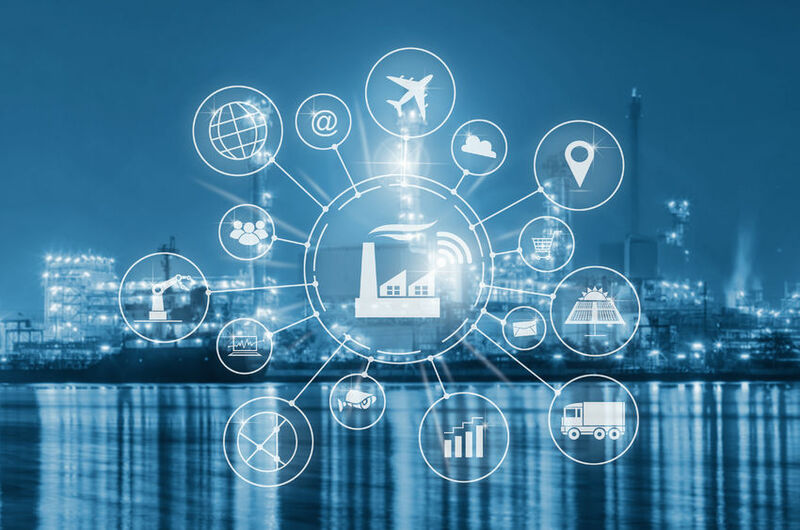 Implementing IoT devices in your supply chain helps mitigate these issues and gives you more control and visibility over manufacturing operations. Imagine if, instead of trying to get a plant supervisor on the phone or waiting for an email response to get a status update, you could simply open an IoT application on your computer and immediately view a detailed dashboard showing the status of your current production cycle. With the right sensors and back-end software, you can get instant visibility and review key metrics related to productivity, efficiency, and cycle time. This real-time data enables you to make fast decisions so you can keep up with your customers and stay ahead of competitors. Efficiency gains are amplified by time and labor-saving applications on the shop floor. For example, workers can move faster from one task to the next when you replace cumbersome manual interfaces with smart sensors. Rather than putting everything down to enter information or configure a piece of equipment, a worker might use IoT sensors to do everything with a wave of their hand or verbally. Sensors also enable automated record-keeping to ensure accurate accounting for every product and process. Another valuable application of IoT sensors concerns equipment downtime. When you can track vibrations, temperatures, and other relevant indicators in real-time, you can reduce costly unscheduled shutdowns with targeted preventive maintenance. This helps keep costs down and ensure the fastest possible cycle time for your goods—enabling you to get products to market before the inevitable next shift in style turns today’s top-shelf fashions into tomorrow’s clearance sales. In areas like energy use, sustainability is not only good for your bottom line, but it’s also become incredibly trendy. At a time when both companies and consumers are increasingly focused on sustainability, the IoT can help you stand out as a “green” brand. As a practical example, consider lighting and environmental controls in manufacturing plants. Busy workers can hardly be expected to interrupt their work to turn the lights on and off every time they enter or leave a work station. However, connected sensors can automatically detect presence and motion to optimize the work environment in real time. Lighting, air conditioning, and other features can all be controlled by sensory input from the IoT. This type of smart power use on the shop floor helps reduce the environmental impact of your manufacturing processes—and keep operating costs under control. In today’s marketplace, these are both good for business. The same types of sensors that enable you to save time and money can also help save you from the many negative effects of workplace accidents. Apparel manufacturing entails lots of heating, cutting, gluing, and other potentially dangerous processes. Smart sensors on the factory floor can help keep workers safe by tracking their proximity to high-risk locations and providing real-time safety alerts as needed. All of these capabilities add value to your supply chain and help you move at the speed of fashion, which is only getting faster. Equally important, the cost and complexity of IoT technology is falling as connected devices proliferate in all sectors of the economy. As a result, implementing this technology is now highly practical and cost-effective for a growing range of businesses. Are you ready to compete in IoT-enabled market? If you have questions or would like to learn more, please contact us. Exenta’s Annual Community Forum will take place on May 9th in New York City. The Community Forum offers our valued clients a great opportunity to learn about exciting new product introductions and enhancements and to collaborate with peers in your industry.